One of the biggest thrills of blogging is that you, my readers friends, take time out of your busy lives to hang out in my little corner of the blogosphere. I know the internet is louder than ever before and so many websites are competing for your precious time. The fact that you choose to read my blog is something I don't take lightly. I love sharing organizing tips and projects with you. And when I hear how you are decluttering and organizing your homes as a result of things you've read here, I feel so honoured and proud. It inspires me to keep bringing you my best. I want to continue making this blog a place you want to go to for organizing ideas and advice. To do that, I'd really like your feedback. Would you please take a couple of minutes to complete an anonymous 10-question survey? I've never done a survey for the blog before and I'd love to hear your honest opinions on what you like about the blog and what changes you'd like to see. 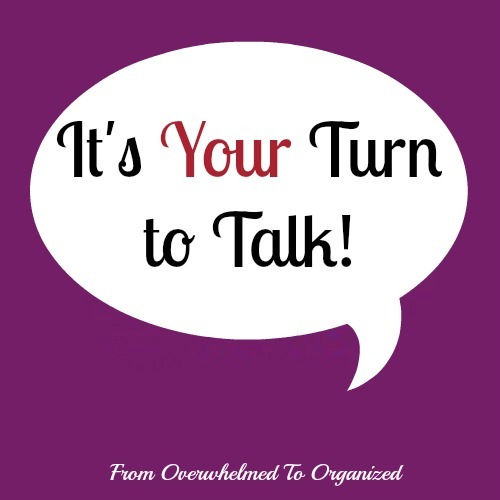 I will compile the results and use them to ensure I give you even more of what will help you go from overwhelmed to organized! 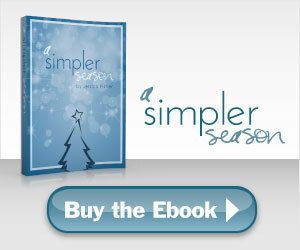 And, to thank all of you for completing the survey, I'd like to give one of you a copy of the ebook A Simpler Season. After you complete the survey, just pop back here and fill in the Rafflecopter form below. One person will be chosen at random and I'll email the book to them. Here's the link to the survey again. It will be available for 1 week and after that I'll share the results and let you know how I plan to apply your feedback. I'll announce the winner then too. I can't wait to see what you say! Thank you for reading my blog! I am so grateful for each and every one of you. And thank you so much for completing this survey and helping me help you! Thanks for the great blog! Keep it up! !